Provide comfort for the family of Christine Smith with a meaningful gesture of sympathy. Christine Elizabeth Stickles Smith, 56, of Martinsburg, passed away Saturday, March 30, 2019 at Berkeley Medical Center. Born January 26, 1963 in Baltimore, MD, she was the daughter of the late Horace Stickles, Sr. and Louise Elizabeth Barrett Stickles. Chrissy enjoyed spending time with her grandchildren, family and friends. She is survived by her son, Terry William Smith, Jr; daughter-in-law, Joni Smith and her beloved grandchildren, Travis, Josephine and Jacob Smith, of Gerrardstown. In addition to her parents she was preceded in death by her husband, Terry William Smith, Sr., her brothers; Larry Lee Stickles and Horace O. “Pete” Stickles and her sister Peggy Stickles Johnson. Family will receive friends on Friday, April 5, 2019 at Brown Funeral Home South Berkeley Chapel in Inwood from 6:00 to 8 :00 p.m.
Services will be held on Saturday, April 6, 2019 at 1:00 p.m. at Brown Funeral Home South Berkeley Chapel in Inwood with Pastor David Davis officiating. Interment will be at Needmore Cemetery. To send flowers to the family of Christine Elizabeth "Chrissy" Smith (Stickles), please visit our Heartfelt Sympathies Store. We encourage you to share any memorable photos or stories about Christine. All tributes placed on and purchased through this memorial website will remain on in perpetuity for generations. Kathy and Walt Kellam sent flowers to the family of Christine Elizabeth "Chrissy" Smith (Stickles). Terry and family. May your heart and soul find peace and comfort. With much love and sympathy. 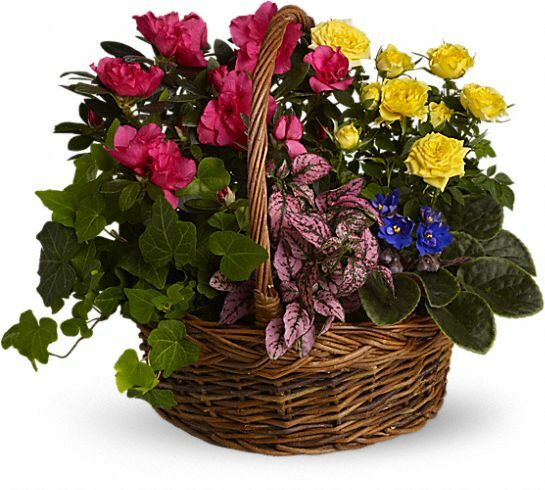 Kathy and Walt Kellam purchased the Blooming Garden Basket for the family of Christine Smith.